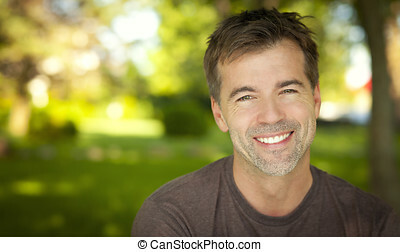 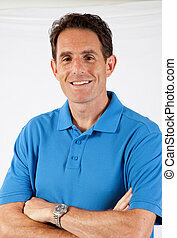 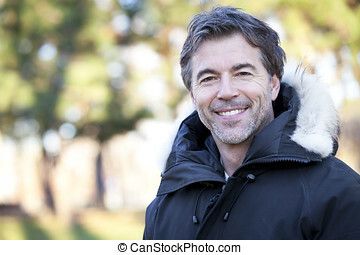 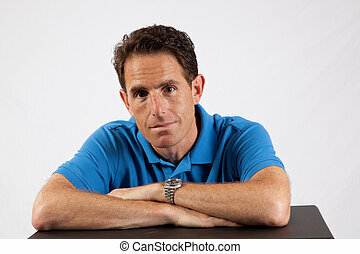 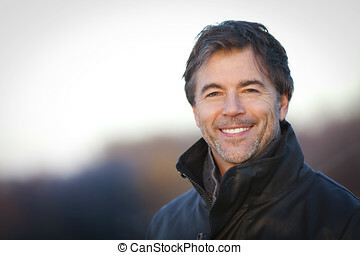 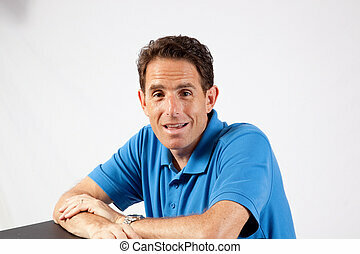 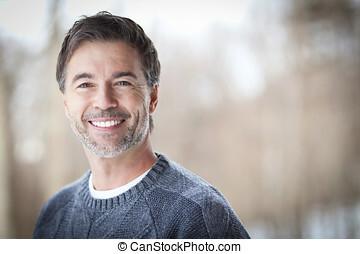 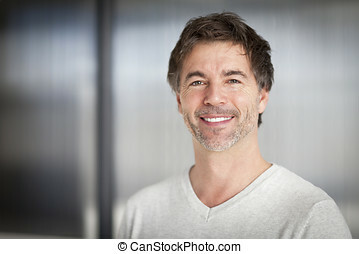 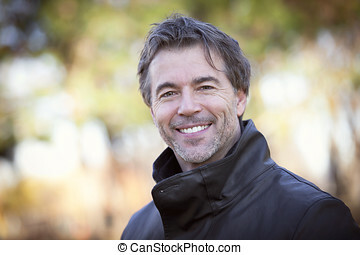 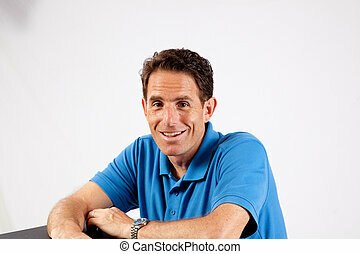 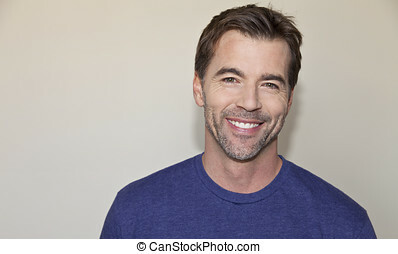 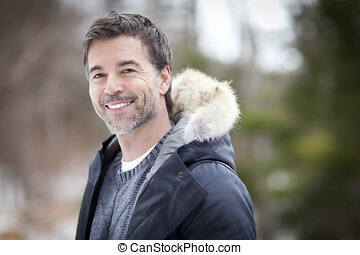 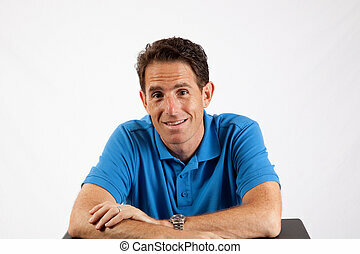 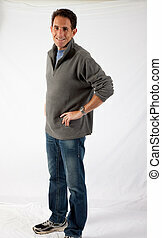 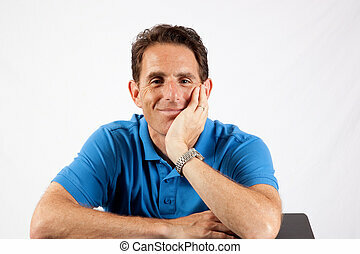 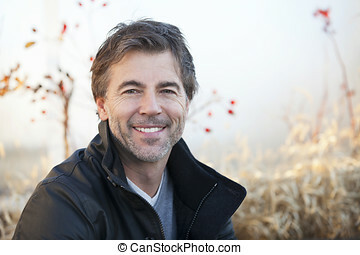 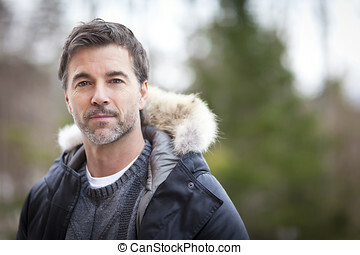 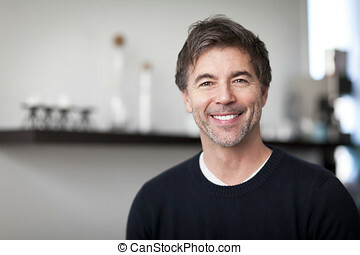 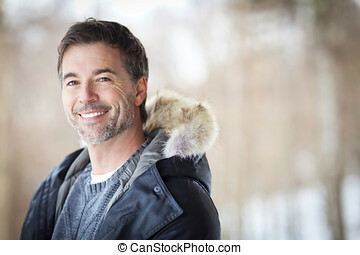 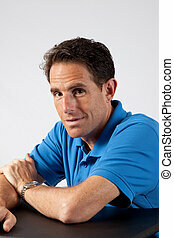 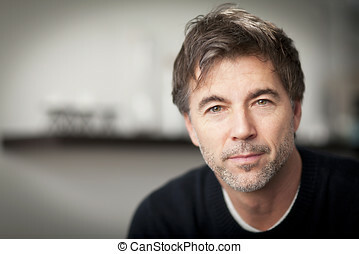 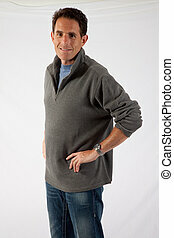 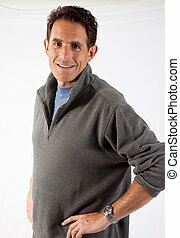 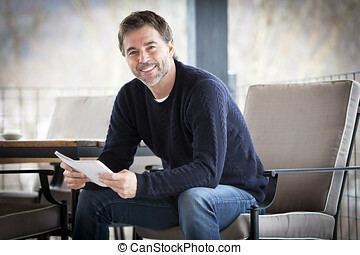 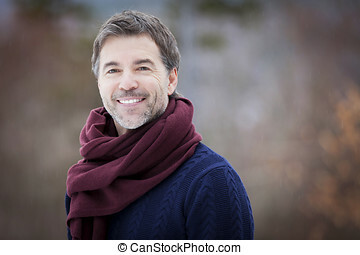 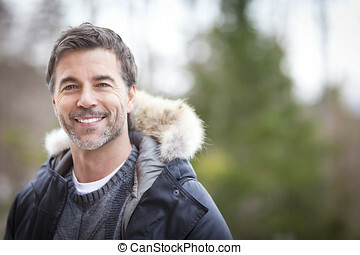 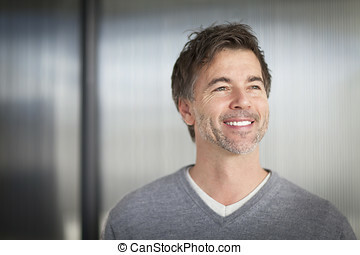 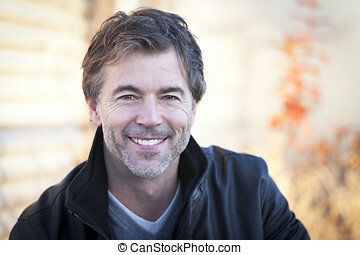 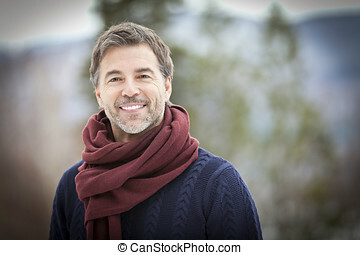 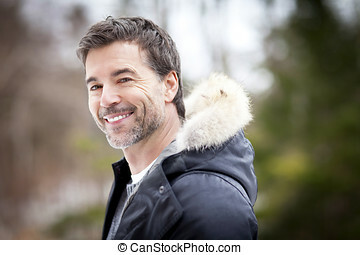 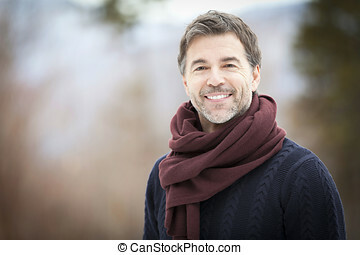 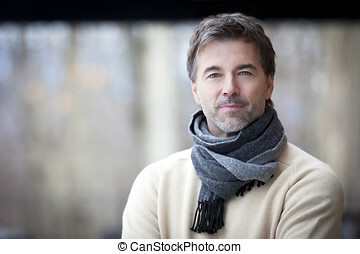 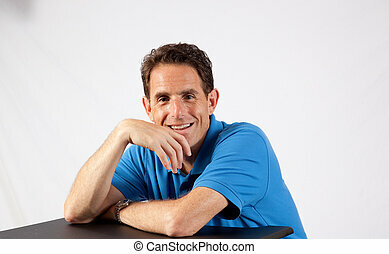 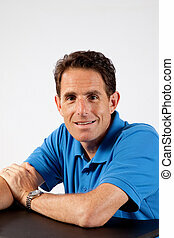 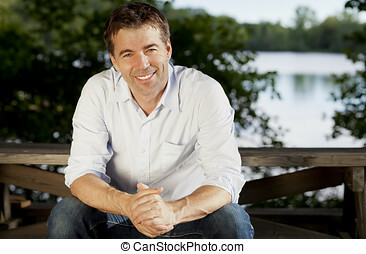 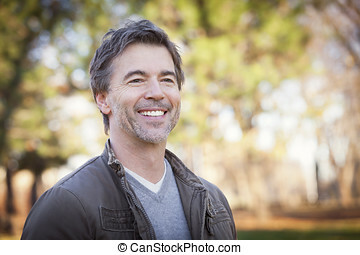 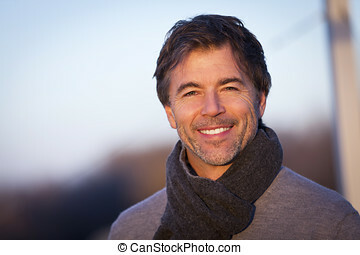 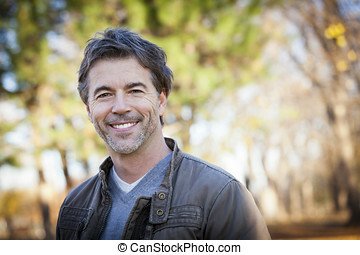 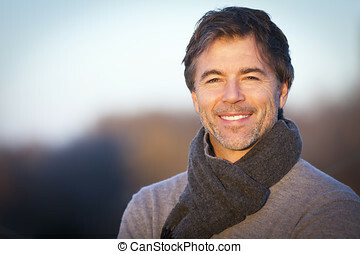 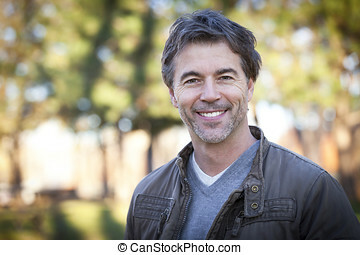 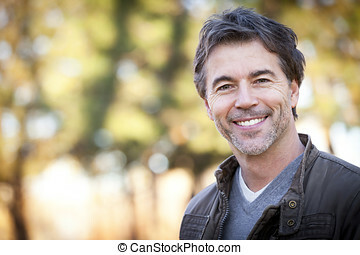 Handsome Mature Happy Man Smiling At The Camera.outside. 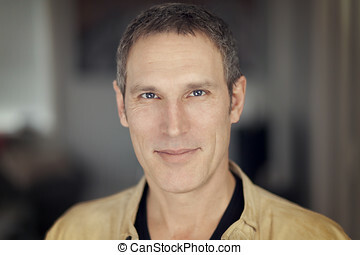 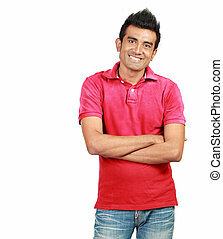 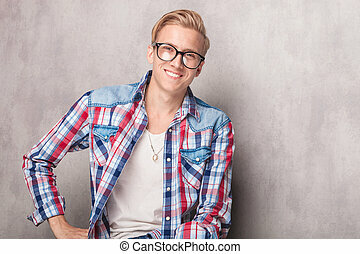 Handsome blonde man smiling at the camera. 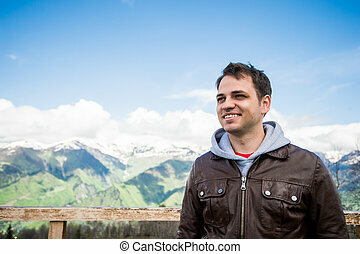 Happy smiling man hiking at the mountains.